Ships tomorrow if you order in the next 20 hours 26 minutes. 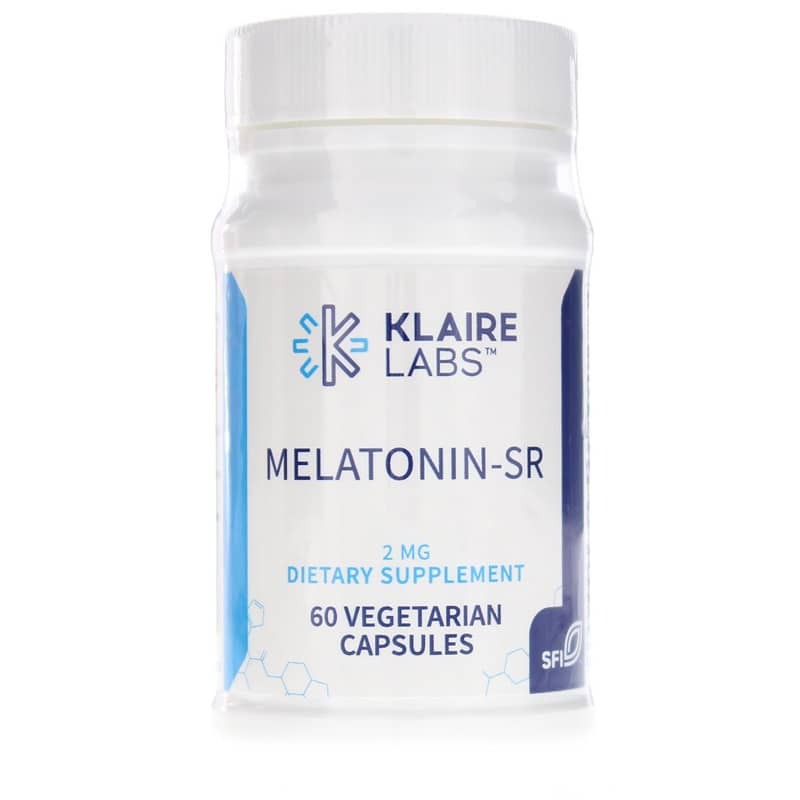 Melatonin-SR by Klaire Labs contains pure melatonin in a pharmaceutical sustained-release vegetarian capsule formulation that releases slowly over several hours to help maintain blood levels for a longer period of time. The role of melatonin in maintaining normal sleep/wake cycles is well known. Supplemental melatonin is often needed to replace the bodys declining production of this hormone that may occur with increasing age. 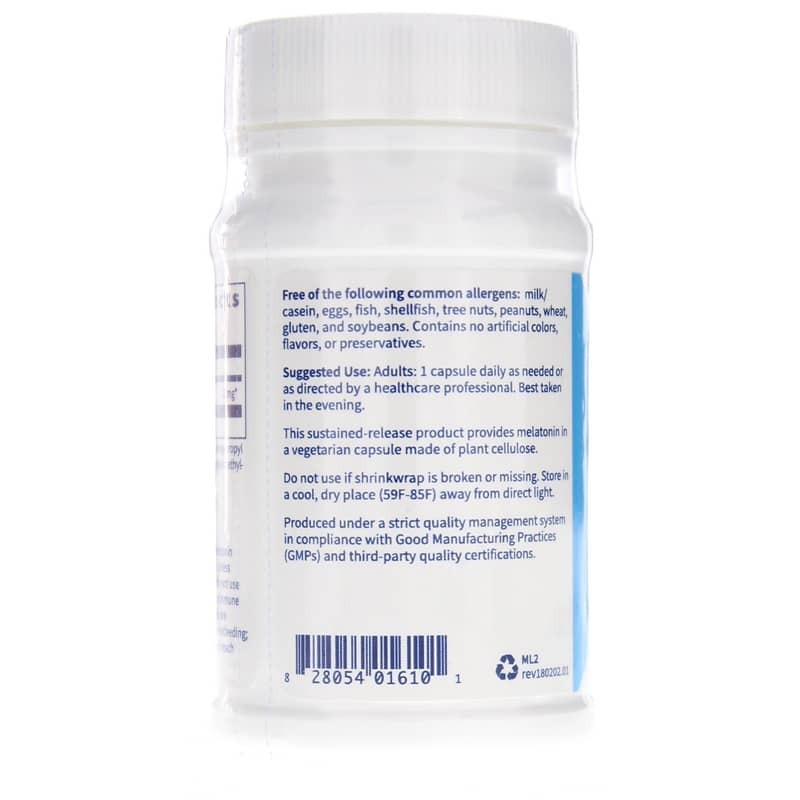 Other Ingredients: microcrystalline cellulose, hydroxypropyl methylcellulose, vegetarian capsule (hydroxypropyl methylcellulose, water) and magnesium stearate. 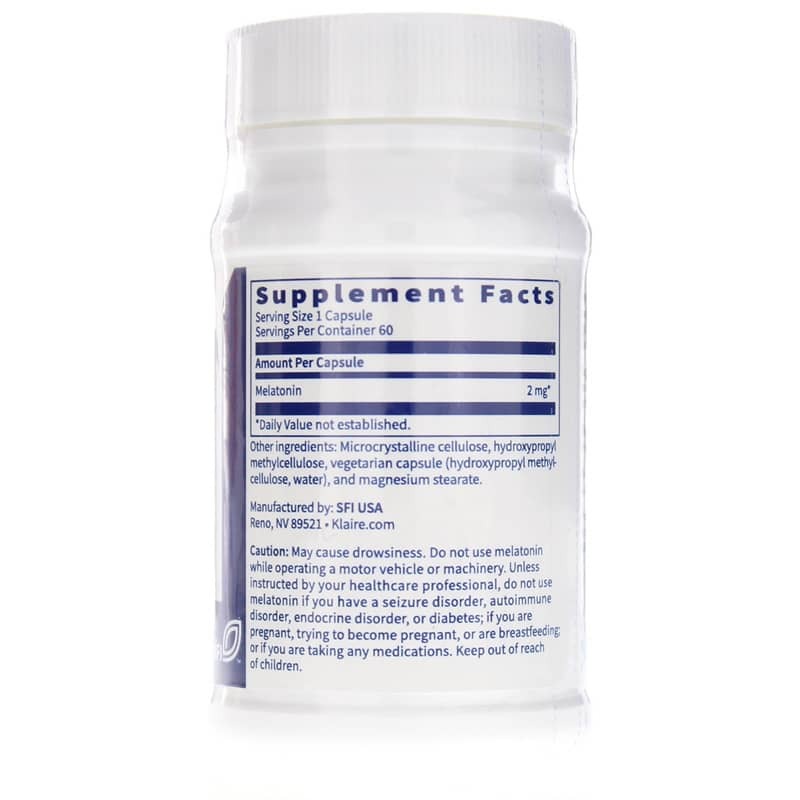 Adults: 1 capsule daily as needed or as recommended by a healthcare professional. Best taken in the evening. May cause drowsiness. Do not use melatonin while operating a motor vehicle or machinery. Unless instructed by your healthcare professional, do not use melatonin if you have a seizure disorder, autoimmune disorder, endocrine disorder or diabetes; if you are pregnant, trying to become pregnant or are breastfeeding or if you are taking any medications. Keep out of the reach of children.